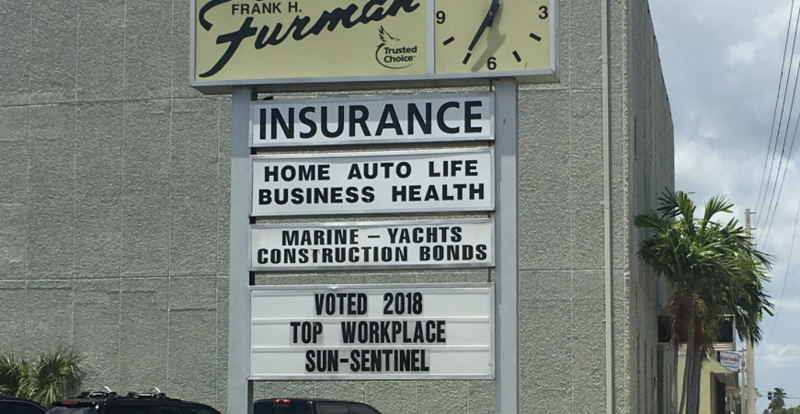 Sun Sentinel Names Frank H. Furman, Inc. – Top Workplace 2018 - Frank H. Furman, Inc.Frank H. Furman, Inc.
For the third consecutive year, Frank H. Furman, Inc. has been awarded a 2018 Top Workplaces honor by The Sun Sentinel, clearly demonstrating to the public, what employees already know. 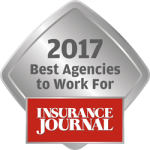 The collective work ethic and unwavering integrity demonstrated by Furman employees at all levels is key to not only growing the agency, but crucial in keeping Furman Insurance one of the best places to work. “Top Workplaces is more than just recognition,” said Doug Claffey, CEO of Energage. “Our research shows organizations that earn the award attract better talent, experience lower turnover, and are better equipped to deliver bottom-line results. Their leaders prioritize and carefully craft a healthy workplace culture that supports employee engagement.” These truths are alive and well throughout Furman Insurance as leadership strongly encourages open communication and facilitates collaboration with and between all employees. Furthermore, the agency continues to operate with the same family-like atmosphere it has become known for, an increasingly scarce commodity throughout the modern world. Furman Insurance continues to be a pillar of support throughout the local community, a principle imperative to company culture since inception fifty-six years ago. From volunteering to fundraising, Furman Insurance employees genuinely enjoy partnering with co-workers, families and local organizations to maintain strong bonds with members of the community and encourage an ongoing culture of reciprocity. The spirit of teamwork and commitment to positive outcomes for clients, community and employees alike produces an unwavering standard of excellence that is second to none. About Frank H. Furman, Inc.
Frank H. Furman, Inc. was established by Founder, Frank H. Furman Jr., in 1962 as an Independent Agency. The Furman Agency proactively manages the Risk and Insurance programs for middle market privately held corporations throughout the United States. The Furman Agency helps clients develop relationships with providers that will maximize the impact to their operating budget. We invest in Risk Management resources that will help our clients mitigate their risk and comply with State/Federal regulations including OSHA, DOL, EEOC and with Employment Law awareness.